I like gnomes. Not the legendary, subterranean dwarfs, although the planet could use someone to guard underground treasures from our geological pillaging. Rather, I mean the less used meaning of “gnome”—a pithy statement of general truth (gnō-, being the root of knowledge and cognition). The more common terms for such writings include aphorisms, maxims, and apothegms, with all of their subtle and imprecise distinctions. Unitarian Universalism draws its aphorisms from the likes of Henry David Thoreau, who wrote, “It is not enough to be busy. So are the ants. The question is: What are we busy about?” Such gnomic expressions make us chuckle, wince—and think. We see ourselves as both absurd and earnest; the saying is not so much provocative as evocative. We are not drawn into defensiveness but lured into contemplation. In the long haul, setting most things on fire—coal, oil, methane, forests, heretics, witches, jellied gasoline, books, crosses, and what have you—is a bad idea. Draft cards and bras might have been exceptions. “Everything is connected to everything else” is true enough as an ecological principle. But clipping your toenails will affect your vision far less than cutting your optic nerve. We imagine that someday we’ll terraform Mars. How about if we just try to keep from Martianizing Earth? The greatest challenge of climate change is not how to technologically mitigate the incredible damage but how to justly distribute the inevitable suffering. The mantra of human societies throughout history and across the world: we didn’t see that coming! Maybe humility is a kind of human humus, being what’s left after our technology decays. Finally, with all due respect to Matthew 26:52, I can’t resist offering a gnome from an imaginary subterranean dwarf named Matt who adapted the ancient wisdom of a radical teacher to the contemporary reality of climate change. Keep again thy carbon into its place: for all they that burn the coal shall perish from its heat. If you've enjoyed these gnomic aphorisms, take a look at a longer list and feel free to add your own! 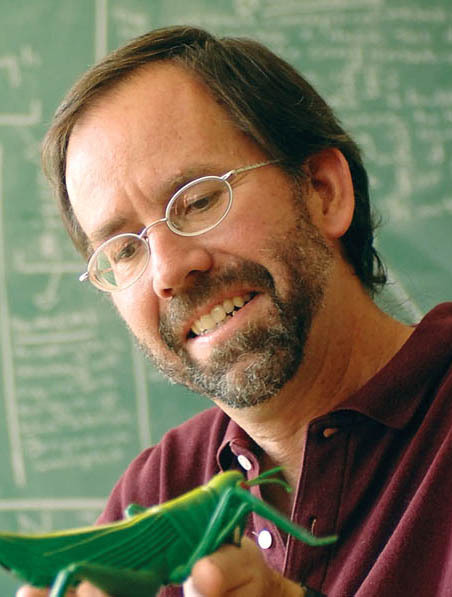 Jeffrey A. Lockwood, an insect ecologist and writer, is a professor of natural sciences and humanities at the University of Wyoming. An online columnist for UU World , he is a member of the Unitarian Universalist Fellowship of Laramie, Wyoming. He is the author of several books, including Grasshopper Dreaming , Locust , and Prairie Soul .